At Powerhouse Heating and Air Conditioning, we’ve served clients all over East Nebraska. We’ve been everywhere — Omaha, Blair, Fremont, Elkhorn, Bellevue, Waterloo, and more — but no matter where we are, one constant is that people just aren’t that good at replacing their air filters. Your air filter is incredibly important because it’s the one safeguard between your home and poor-quality air. While the air in your home may seem lovely, there’s a reason why you still get that feeling of “fresh air” when you go outside — indoor air, in the overwhelming majority of cases, is more polluted than outdoor air. The Environment Protection Agency (EPA) estimates that indoor air can have as many as 100 times more pollutants than outdoor air, due to ubiquitous everyday items and chemicals, such as cleaners, disinfectants, dust, dander, and more. 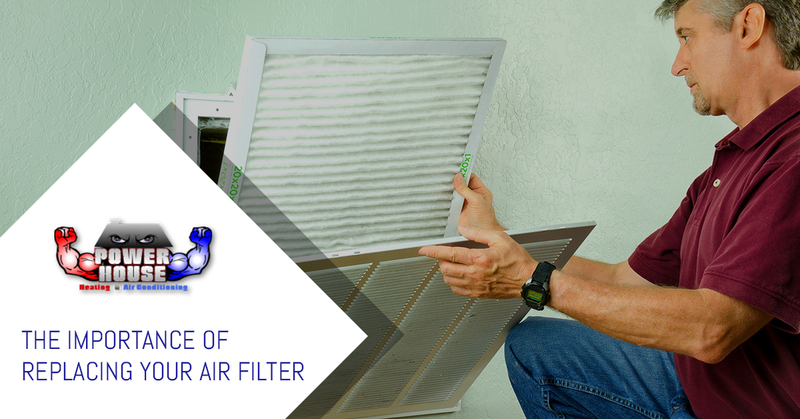 The most important function of an air filter is that it essentially acts as a barrier that filters out harmful airborne particles. Dust, smoke, dander, pet hair, and pollen are examples, and all of these things will bow down to the air filter. You can essentially think of it as a net or a strainer that only lets the good stuff through, while keeping it out. Your air filter is positioned in such a way that all incoming air has to pass through it to circulate through your home. That’s just another way to say that this thing filters a lot of air, so you can expect it to build up some grime over time. If you leave your air filter untreated, the pollutants, dust, and dirt will begin to accumulate, and eventually, it can reach a point to where very little air is even getting through the filter, while the chemicals you’re trying to stop slowly and surely break through. 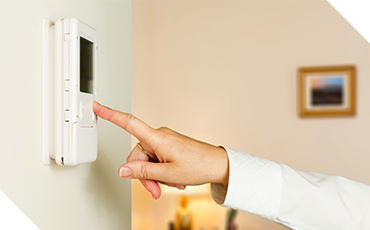 This forces your furnace or air conditioner to work harder, costing you money and wearing down your components more quickly. So, we’ve established that your air filter is extremely important, and that neglecting it can cause long-term problems, both for your HVAC and health. That’s the bad news. The good news? Replacing your air filter is exceedingly easy, and cheap to boot. You can find them at retail stores for anywhere between $10 and $30, and swapping your old filter with a new one takes only moments of your time. The air filter is usually put in an accessible location for this very purpose — it shouldn’t be hard to track your own air filter down, and if you can’t, we will gladly help. 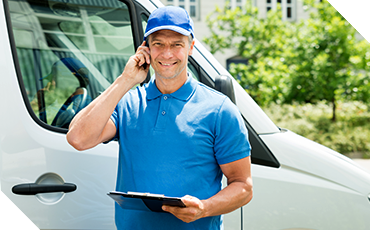 While purchasing and replacing an air filter is a relatively easy job that anyone can do, it’s possible that you’d still rather a professional HVAC company handle it anyway. That’s totally okay, and at Powerhouse Heating and Air Conditioning in Omaha, we would be happy to help! We provide services that speak to the air quality of your home. If you have questions about your air filter, need a replacement, or have other air-quality related devices that need some help (such as a humidifier), don’t hesitate to contact us today!